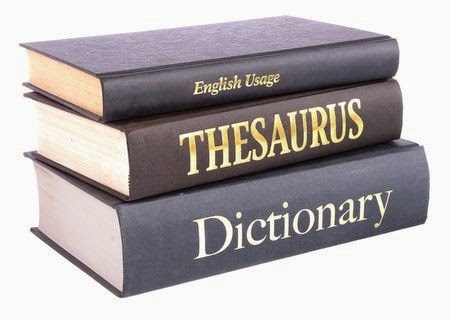 ESL Made Easy: January Topic: Thesaurus Day! January 18th is THESAURUS DAY! It's a day that commemorates the birthday of Peter Roget (Jan 18th, 1779), the author of Roget's Thesaurus. The thesaurus has been an invaluable reference resource for millions of students and other writers around the world who use it to spice up their language with synonyms (different words that have the same or similar meaning). For ESL students, using synonyms not only helps develop and strengthen English skills, it increases confidence and motivation while learning this "tricky" language. Thesaurus.com, Merriam Webster.com and Synonyms.com are just a few online sites that are both easy to find and use. So why not challenge your ESL students to explore and practice new and interesting words daily!